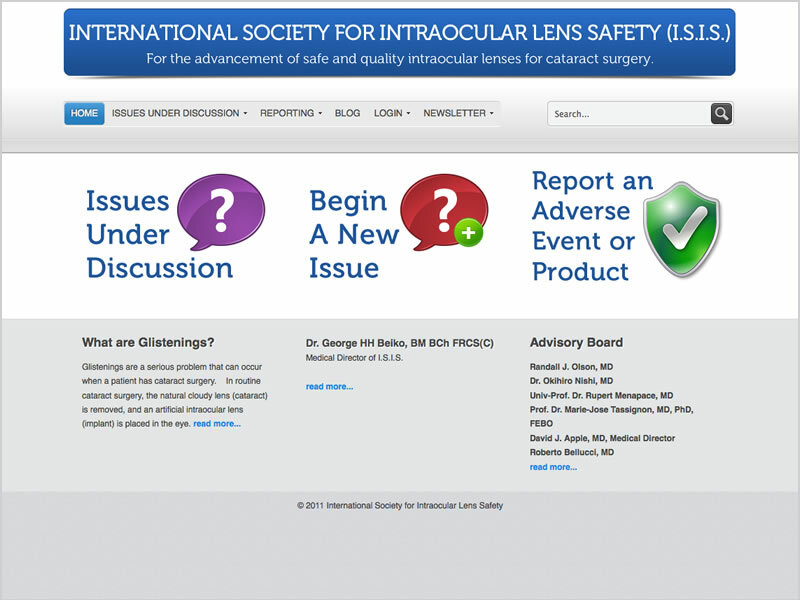 Intraocular Lens Safety (IOLsafety) is an educational medical website that features images, presentations documents, and forms. 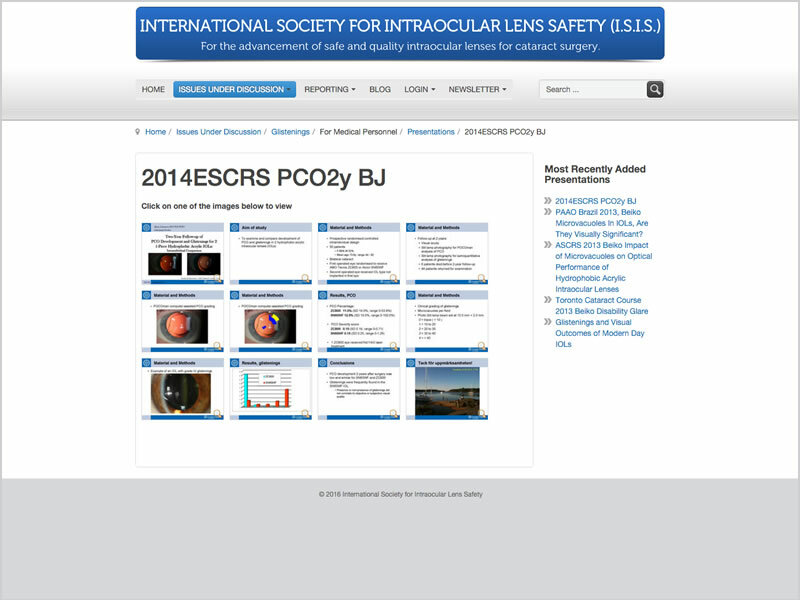 The website is a place for medical professionals and patients to view information pertaining to intraocular lens safety. Dr. George Beiko is a expert on the topic of glistenings in intraocular lens. Through this website medical professionals can initiate and report and share their findings on this topic. Selected studies and articles from PubMed listings can be found on the site. 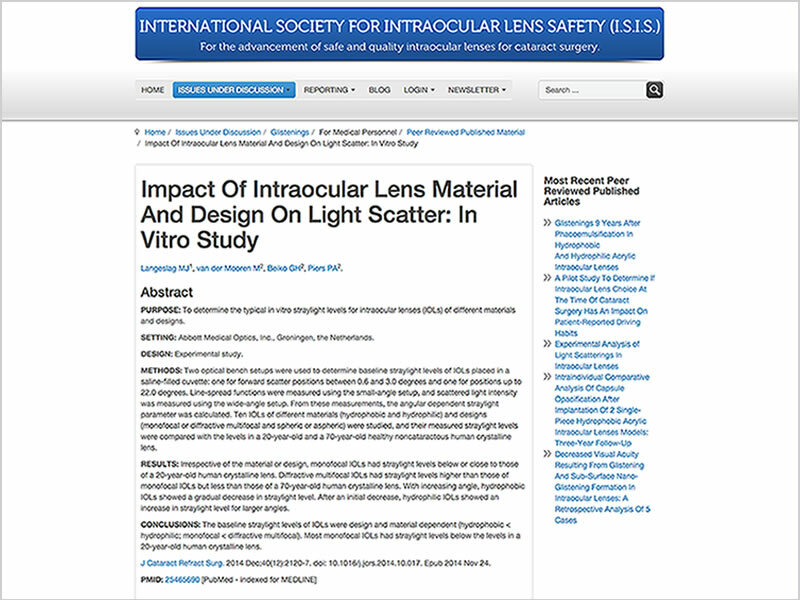 These are listings that specifically relate to interocular lens issues. The side bar shows a listing of recent articles published to the website of content from the same category. 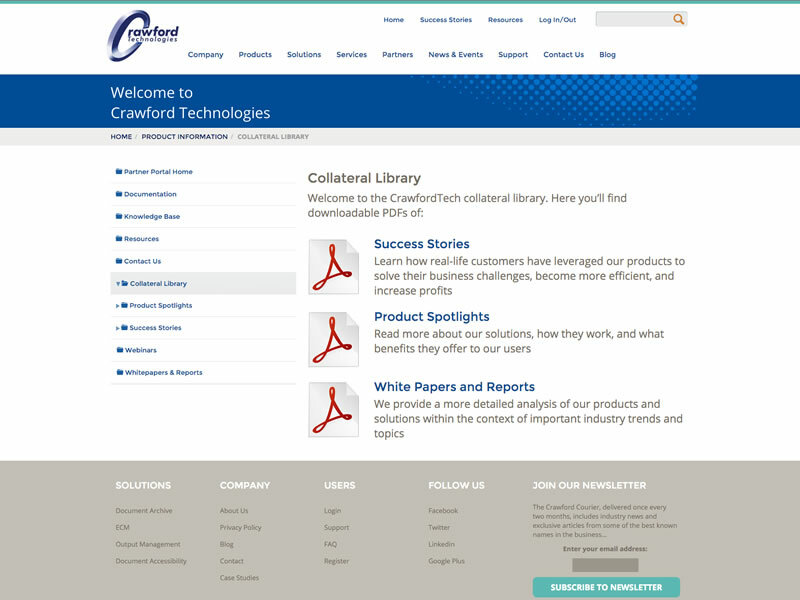 Presentations of all types are available on the website using standard and easy to view web based methods.